John Shope of Dirty Bird Concepts and Paul Yaffe of Bagger Nation are two of the most renowned motorcycle aftermarket names in the industry today. The two are stars of the History Channel’s “Biker Battleground: Phoenix” and now, Shope and Yaffe have also signed up to be part of the Sturgis Buffalo Chip’s Buffalo Chip Challenge. 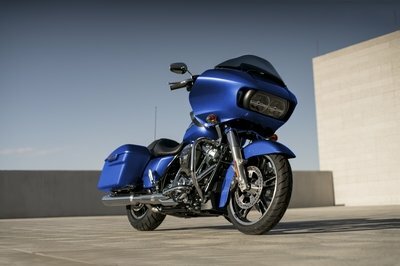 Both Shope and Yaffe will play pivotal roles in assisting Black Hills area high school students as they embark on the challenge of customizing a 2014 Indian Chieftain and a 2014 Harley-Davidson Road King. 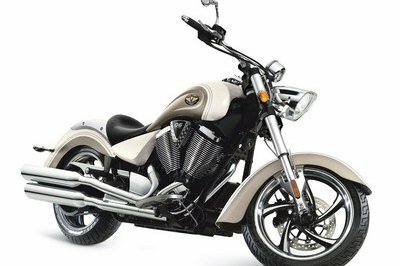 The Sturgis Buffalo Chip will then auction off the two customized cruisers on Aug. 3, 2015, in support of its signature Legends Ride. For what it’s worth, these students couldn’t have found two more capable tuners to get assist them in this challenge. The opportunity to learn from two of the best bike tuners in Shope and Yaffe is a tremendous opportunity for these young bloods. Not only will they get the chance to get instructions from these industry heavyweights, but they can also get their feet wet in the world of motorcycle customization. That’s a pretty sweet deal. Shope is regarded as one of the best motorcycle artists in the world and students can tap into that kind of brilliance, together with his Dirty Bird Concepts fabrications to transfer the Indian Chieftain into a fully customized world-class cruiser. On the other end, Yaffe’s reputation as a big wheel bagger should come in handy when he leads another group of students in giving the Harley-Davidson Road King its own customized make-over using parts from Bagger Nation. Both bikes are expected to be finished and ready in time for the Donnie Smith Bike and Car Show on March 28-29, 2015. The Buffalo Chip Challenge is also open to any high school student in the Black Hills area, even if the orientation is set to take place at Sturgis Brown High School. I’m personally excited to see what these students can come up with. They’ve got some of the best tuners in the world serving as instructors so expectations are pretty high that they’ll come up with two sweet customized bikes. Click past the jump to read more about the Buffalo Chip Challenge. It’s not often that you get to work with established tuners in the motorcycle aftermarket industry. But to do so as a student? At the very least, that’s a very valuable learning experience. I’m actually a little bit jealous that these students get to work with John Shope and Paul Yaffe. I’ve been a fan of their works for quite some time now and I certainly wouldn’t mind getting a first-hand education from either one of them. Hopefully, the young minds participating in this challenge get to absorb as much knowledge as they can about the world of motorcycle customization. Opportunities like this don’t just happen at a drop of a bucket so if I was to impart my own wisdom on these students, I’d tell them to strap up and listen to the masters at work. Who knows, some of them might even have a future in the business. There’s no better on-the-job training to get there than to learn from some of the best minds in the business. Legends will collide when stars of HISTORY’s “Biker Battleground: Phoenix,” John Shope and Paul Yaffe, join the Buffalo Chip Challenge. These celebrity custom bike builders will pit iconic motorcycle manufacturers Indian and Harley-Davidson against each other in a classic build-off that will give Black Hills area high school students an opportunity to learn cutting-edge motorcycle customization techniques. 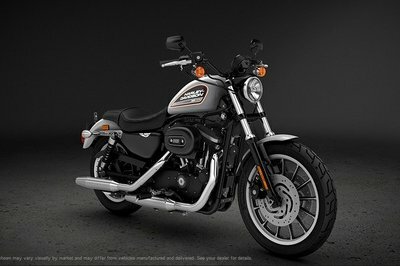 This year, the innovative high school mentorship program is taking exciting new twists by challenging students to customize two bikes, a 2014 Indian Chieftain and a 2014 Harley-Davidson Road King, all under the instruction of industry veterans. 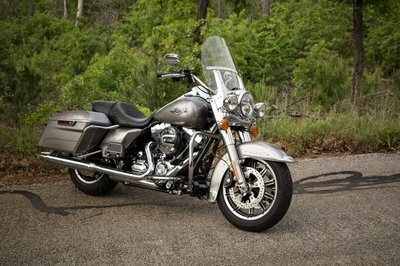 The Sturgis Buffalo Chip® will auction off both bikes Monday, Aug. 3, 2015, in support of its signature Legends Ride®. The Buffalo Chip Challenge is a collaboration between the Sturgis Buffalo Chip, Sturgis Brown High School, Terry Components, Dakota V-Twin and a large group of industry-leading sponsors. The addition of the industry super stars is just one of the many exciting changes to the program this year. John Shope of Dirty Bird Concepts, Paul Yaffe of Bagger Nation and Dave Perewitz of Perewitz Cycle Fab, complete a super team of world-renowned customization leaders that will teach Black Hills area students state-of-the-art technical skills at Sturgis Brown High School. Other members of that team include Keith Terry, Randy Cramer and Nick Cramer. The Sturgis Buffalo Chip is leading the regional program focused on American innovation and craftsmanship for its fifth consecutive year. 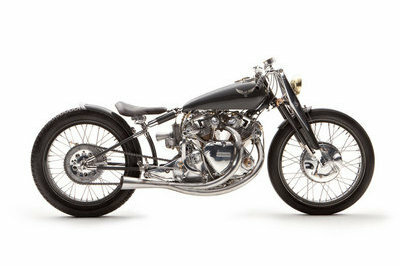 Many of the motorcycle industry’s top companies continue to sponsor world-class parts for the Buffalo Chip’s build program each year, recognizing its significance as part of the growth and success in American custom bike building. Students will transform the Indian Chieftain into a fully customized dream machine primarily using John Shope’s Dirty Bird Concepts fabrications, and the Harley will make its transformation based on designs created by Paul Yaffe, utilizing parts from Bagger Nation as well as other sponsors. Shope is well known as a motorcycle artist and will inspire an original work of art from visualization to completion. 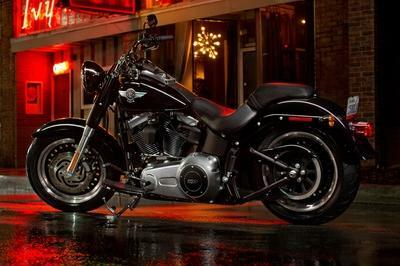 Yaffe will bring his “big-wheel bagger” expertise to the team to fire up students as they convert the Harley-Davidson Road King into a street-scorching custom. Both bikes are scheduled for completion in time for the fast-approaching Donnie Smith Bike and Car Show.on March 28-29, 2015. For the first time ever, the Buffalo Chip Challenge will be open to all Black Hills area high school students. All instruction will take place at Sturgis Brown High School, but any area student can join the program. Students interested in more information or looking to register for the class should inquire with their high school counselor or contact Sturgis Brown Principal Jeff Simmons at jeff.simmons@k12.sd.us or 605-347-2686. Sturgis Brown High School instructors for the program are Chad Hedderman and Bill Johnson. Sturgis Buffalo Chip President, Rod Woodruff, John Shope of Dirty Bird Customs and Keith Terry, President and founder of Terry Components, joined together today to unveil the 2015 Buffalo Chip Challenge program at Sturgis Brown High School. Also new this year, the Buffalo Chip is offering participating students the opportunity at $8,500 in scholarships. A variety of criteria will determine scholarship gifts including level of participation, interest and improved abilities over the course of the program. Students who participate in development and creation of a display for the Donnie Smith Bike and Car Show in Minneapolis will also be eligible for scholarship awards. With the help of Keith Terry and Sturgis Brown High School instructors, Chad Hedderman and Bill Johnson, the Buffalo Chip created the innovative school program in 2010 as a means to promote technical education in South Dakota and provide students with expanded career opportunities in the motorcycle industry. Because the state is home to the world’s largest motorcycle rally, a growing number of motorcycle industry businesses have moved to the Black Hills and are looking for experienced technicians. The Sturgis Buffalo Chip hopes to provide local career opportunities for students by creating a hands-on curriculum that teaches youth about motorcycle fabrication and customization. Over the years, Buffalo Chip Challenge participants proved they had learned the skills to put them on par with some of the world’s best builders by winning first place in the Full Custom Bagger Open Class and Overall Best Display at the Donnie Smith Bike Show and first place in the Full Custom Bagger category and Best Custom Paint Job at the Black Hills Bike Show.